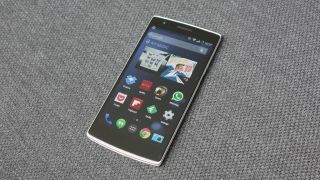 The OnePlus One was one of TechRadar's favorite Android phones of 2014, and it's scheduled to be upgraded to Android 5.0 Lollipop this month. Its creators have promised a stable build of Lollipop for the One will arrive in February, and to kick off the month they've released a teaser video showing the update in action. Unfortunately a good chunk of the video is spent demonstrating Android Lollipop's Flappy Bird easter egg, something that's already been well documented. For the full OnePlus One Lollipop experience we'll have to wait until later this month, but at least it's "almost here," as the video's description reveals.